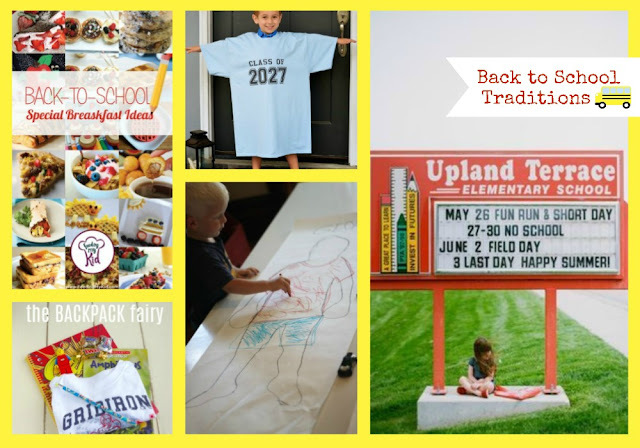 Countdown to the big day with a good, old-fashioned paper chain Back to School Countdown. Plan to do something special after school like going for ice cream or to play at the park. Make a back to school keychain that kids can attach to their backpack with charms that have a sentimental meaning to you both. 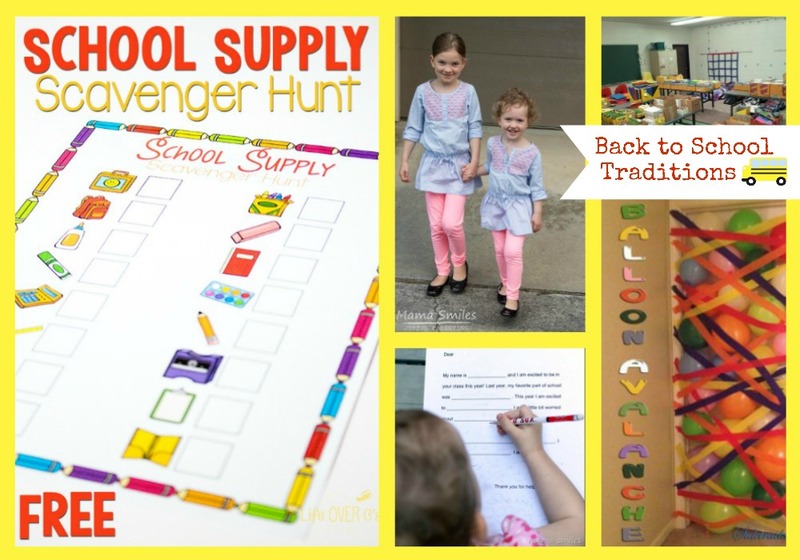 Throw a Back to School Eve party for your child and their friends. Take an annual photo of your child on their first day of school. Here are some great ideas for photos. 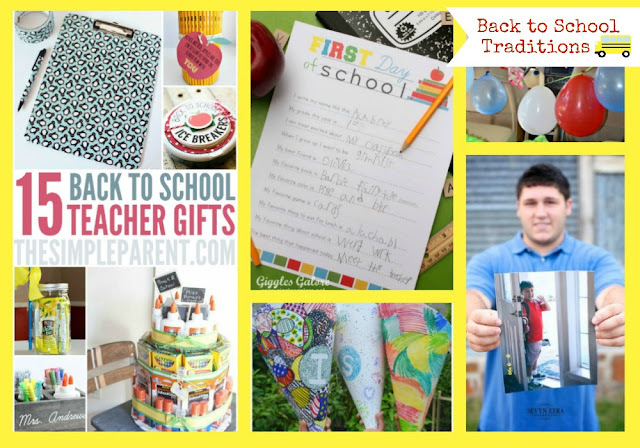 Create a fun back to school teacher gift to start off the year with your child's new teacher. Conduct a first day of school interview with your child and save them to compare the changes over the years. Get out the paper and markers to craft a Schultuete (school cone) like the German do. You've heard of party bus, right? 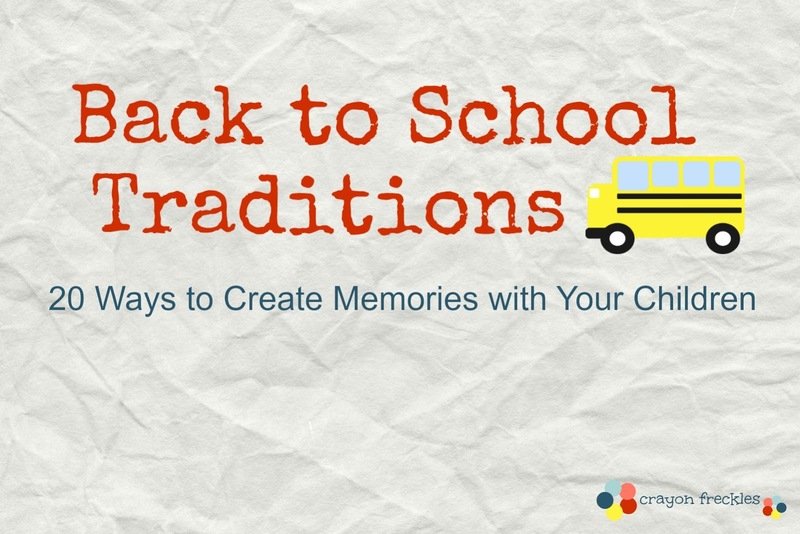 Turn your vehicle into a party car with balloons and streamers to celebrate the new year of school. Take a picture of your child holding a picture of themselves when they were in Kindergarten and end up with some amazing photos like this progression picture. Jazz up breakfast time with one of these yummy and fun First Day of School breakfast ideas! Invite the back pack fairy for a visit for a little Back-to-School Eve fun! Take a picture every year of your child wearing a class of 20__ t-shirt. I'm partial to this one because this is what we do. Order a shirt of your own in my Etsy shop. Roll out the paper and invite the kiddos to draw self portraits of themselves. Would be fun to compare every year. Take an annual picture in front of the school sign. I've got a lot of friends that take these. It's adorable, whether you're a military family or one that stays put every year. Have a school supplies scavenger hunt and let your kids find all of their back to school gear. Use this printable to help your kiddo write letter to their new teacher. Organize a school supply drive using these tips. Create a balloon avalanche on your child's bedroom door using balloons and streamers. There are so many great ideas out there. But the bottom line is that our children are going to remember the things we did with love. It's amazing the things that stick in their memories. 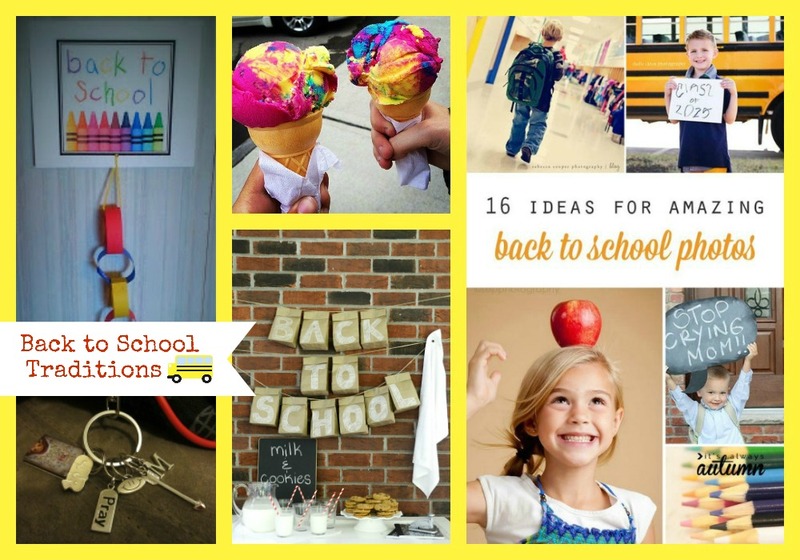 If you'd like, you can follow my Back to school Pinterest board here. I'd love to hear about any back to school traditions that your family has! Share them in the comments below! Special thanks to Jessica Sawyer Design for the darling schoolbus in today's pinnable pictures. Find more of her digital papers and clipart designs here. Is Pokemon Okay for Christians?